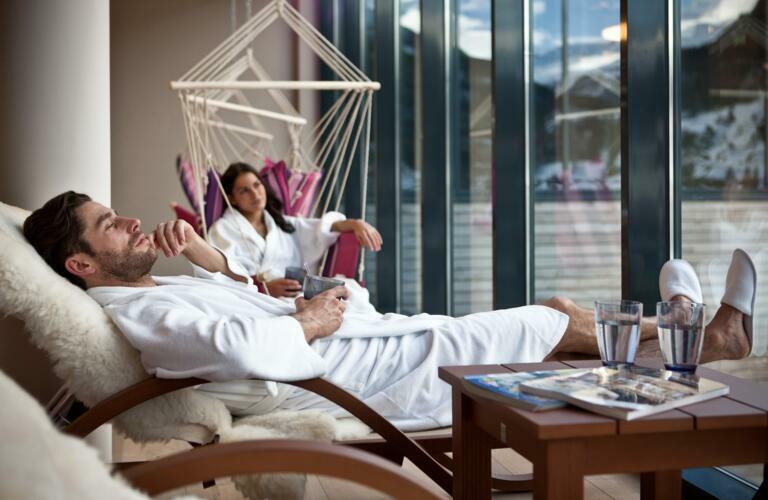 The Sky Spa at the Hotel Bergland is the ideal place to escape the stresses and strains of everyday life for a few precious hours. 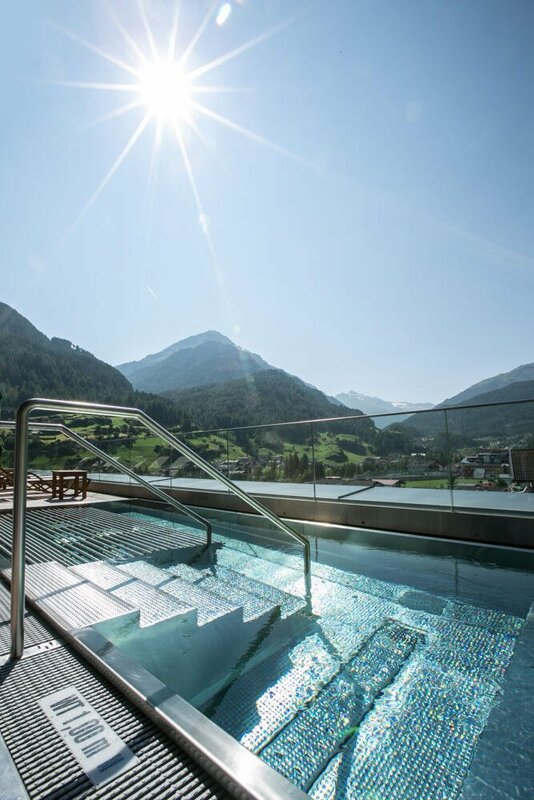 After a day out and about in the mountains of the Ötztal Valley, what better place to unwind than in our large indoor swimming pool, open-air whirlpool and sauna area? A selection of cosmetic treatments and massges is also available. 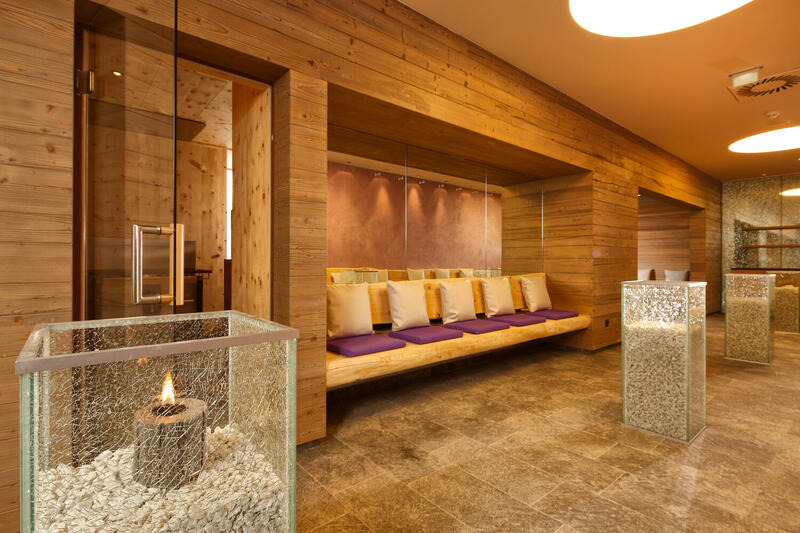 Refresh your mind, body and soul with a visit to the Sky Spa during your next holiday at the Hotel Bergland in Sölden. Here at the Hotel Bergland we have our own range of beauty products: Natural Alpine. Made using natural ingredients from the Ötztal Valley, they will leave your skin looking healthy and radiant. With our workouts and Technogym machines, guests staying at the Hotel Bergland can stay fit and healthy while on holiday. 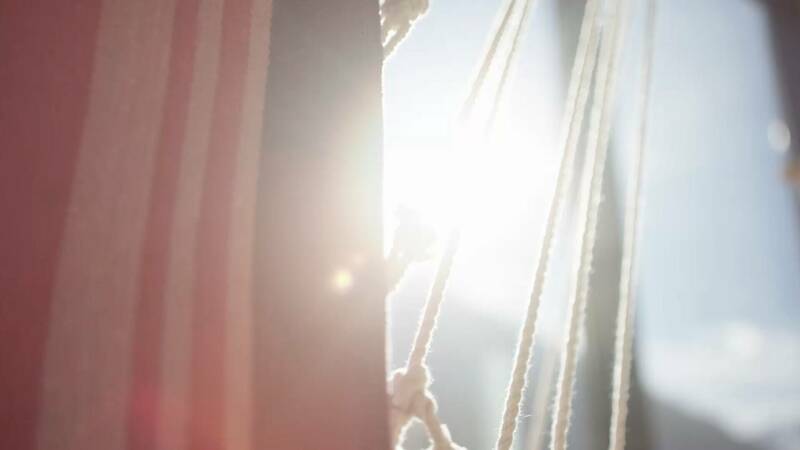 Alternatively, why not try meditation on the terrace overlooking the mountains? The Hotel Bergland is an oasis in the heart of the Alps. And on top of the hotel there is a very special place where guests can get away from it all for a few precious hours: the Sky Spa. Leave daily life far behind. Panorama Gallery: Lie back on one of the water beds and admire the mountain landscape through the glass dome roof. Chillout Room: Beds filled with hay from our own farm create a naturally relaxing atmosphere for visitors. Outdoor Terrace: Relax on one of the loungers, try a little Thai yoga or breathe in the fresh mountain air during a stretching session.